Perfect for all doll parents who want to go strolling with their doll. 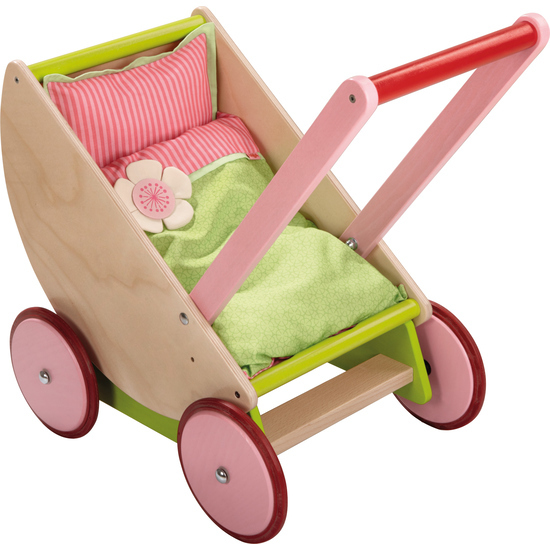 A special extra: the little darlings can sit or lie because the molded wood infant seat, with just a couple of maneuvers, quickly converts from a doll pram into a buggy. Includes bedding.